The braking system of any vehicle is one of its primary safety features. It is dangerous to drive an automobile that you cannot stop when necessary. At Lakewood Auto Body, we repair and replace brakes that are no longer working efficiently. We are a BBB-accredited auto brake repair shop that the DuPont, WA area residents have been trusting since 1962. We have I-Car, ASE certified technicians who are skilled at fixing the braking system on all types of vehicles. At our auto brake repair shop, DuPont residents’ vehicles undergo a very detailed and careful brake system inspection. 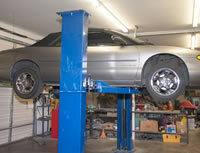 Our auto repair technicians get to the precise root and cause of the reduced braking power. They work diligently to ensure that the underlying problem is fixed with the correct solution. The brakes of your vehicle are too important to let just any neighborhood mechanic tinker with them. You should go to the best place in town to have your brakes repaired. We have the skills, experience, and resources to do a simple or complex repair job on brakes of virtually all makes and model of vehicles. Are you looking for the best place to get brakes done? Well, your search ends at our auto repair facility! We are a family owned business that gives top priority to the driving safety of its customers and their vehicles. With us, you and your vehicle are in safe hands. 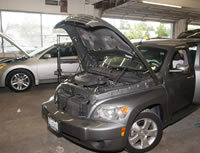 Make Lakewood Auto Body your first and only stop for brake system repairs and replacement jobs. To schedule a visit to our auto brake repair shop, DuPont residents should call (253) 581-0220.